The 2017 Sauvignon blanc offers tropical flavors with an intriguing addition of lemon, lime, and green apple. The wine starts out supple and elegant, and gains intensity while remaining aromatic and focused, finishing with a juicy finish. The Sauvignon blanc grape harvest took place on August 25. The vineyard was tested daily to determine the optimum moment at which to harvest the grapes maximizing fruit flavor intensity. 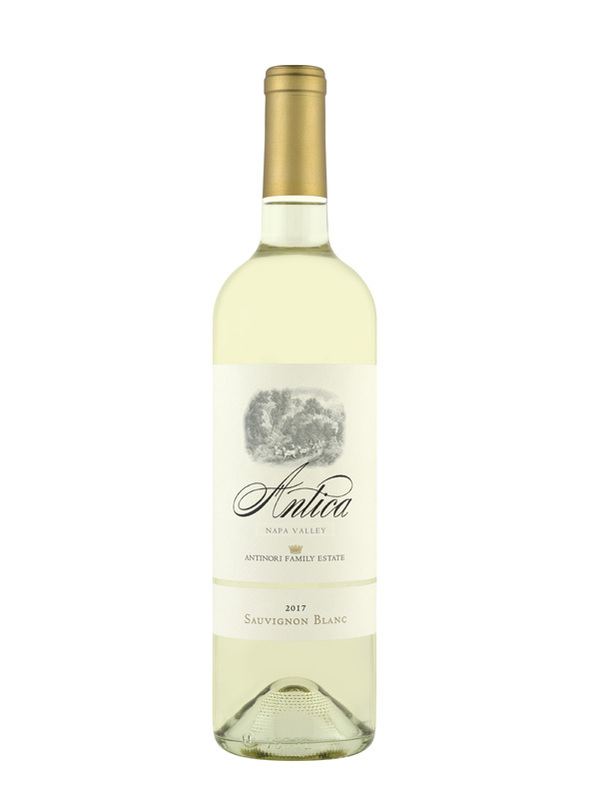 The grapes were harvested in the cool early morning hours and immediately taken to the Antica estate winery where the whole grape cluster was placed in the press allowing for a very gentle release of the Sauvignon blanc juice. The Sauvignon blanc juice was chilled further in stainless steel tank prior to yeast inoculation. Afterwards the must was transferred to French Oak barrels (25%) and stainless steel barrels (75%) where alcoholic fermentation took place in the cool temperature controlled environment of estate's wine cave. When the barrel ageing period was completed, the wine in each barrel was tasted and the necessary selections made. The wine from individual barrels was blended resulting in the final blend.